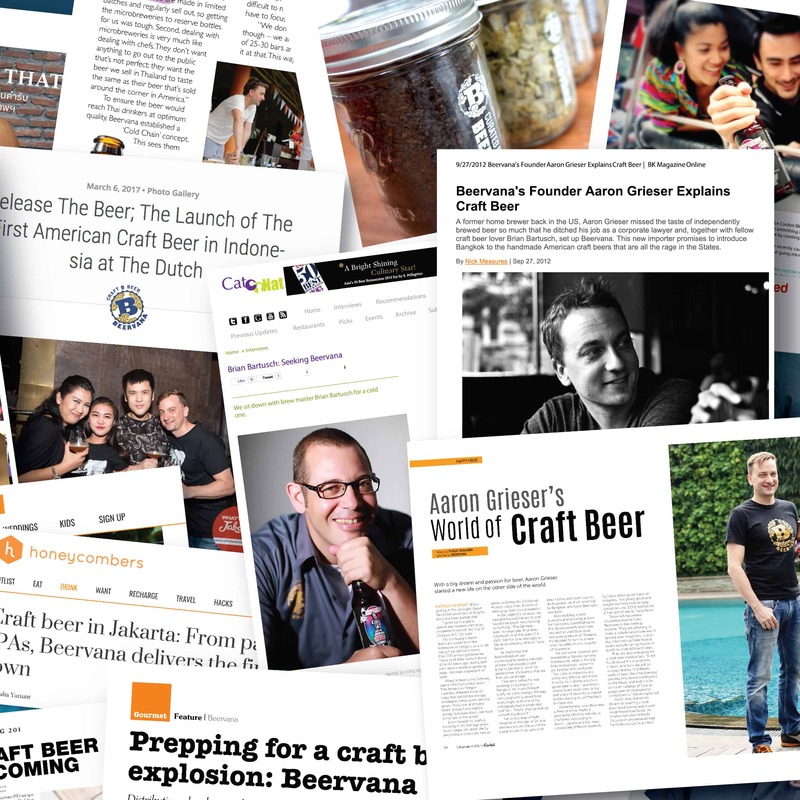 Beervana is the story of two star-crossed craft beer lovers who brought the very first craft beer to Thailand. Then we did it again in Indonesia. Now Beervana is serving Bangkok, Phuket, Chiang Mai, Isaan, Pattaya, Jakarta, Bali and next, Ho Chi Minh City. We’re on a mission to spread the love of craft beer to a region in need. Beervana travels the world in search of the finest craft beer, handpicks our faves, and brings them to the very best tables in the places we call home. We’re not a divine incarnation of heaven. And we’re also beer lovers. We like to think that matters. Yes, we hand pick the best beers for our markets – but quality is the backbone of our promise to our brewers and to you. Our brewers want their beer to taste as good here as it does at the brewery. You should too! 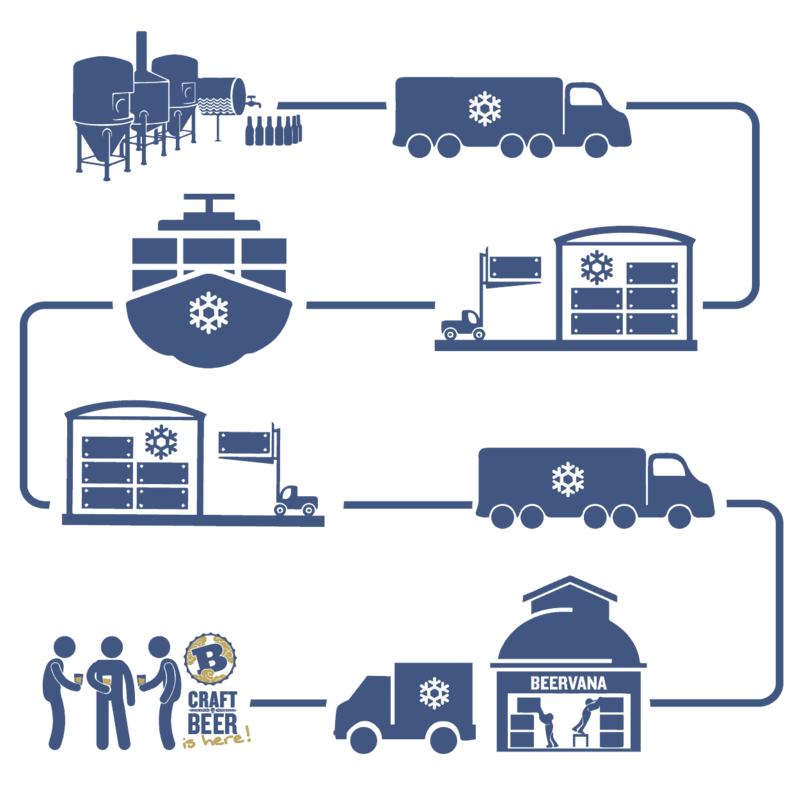 We invested in best-in-class refrigeration infrastructure to ensure the beer in your glass was kept below 5 degrees Celsius from the loading dock at the brewery, across the sea, through our distribution channels, and even on-site at the retailer. It’s all to make sure your beer pops. Heat, age and sunlight can kill aroma and introduce off-flavors. Down with the cynics who think you can’t tell the difference, who cut corners by shipping or storing hot, or who sell beer beyond it’s best-by dates. The beer deserves better. You deserve better. Don’t settle for stale beer. Insist on beer handled with respect! Beervana is a seal of quality beer: always an interesting selection, always fresh, always cold from the cradle to your glass.